Can Air Conditioning Save You? With the record-shattering, asphalt-boiling summer of ’10 safely receding into long-term memory, the summer of ’11 so far has been a pleasant experience for many Americans. But even this year there was an early-June flash heat wave in Washington, DC and the Northeast, as well as the three-digit misery that recently hit inland parts of central and southern California. Meanwhile, a wide swath of the plains, from my home in Salina, Kansas down through Texas, has lived under Phoenix-like conditions for much of the summer. If there is any silver lining to be found in a heat wave, it’s the assurance that there is an end in sight. As your brain broils, you can cling to the ten-day forecast and that happy day when the next cool front will arrive and end the misery. But as greenhouse emissions accumulate in coming years, heat waves could start sticking around not for days but for weeks and months. What once was considered hot summer weather could start turning up on the first day of spring. Previous research by Diffenbaugh and his colleagues suggested that here in this country, summer-long heat alerts may become the rule even sooner,within just a few years. 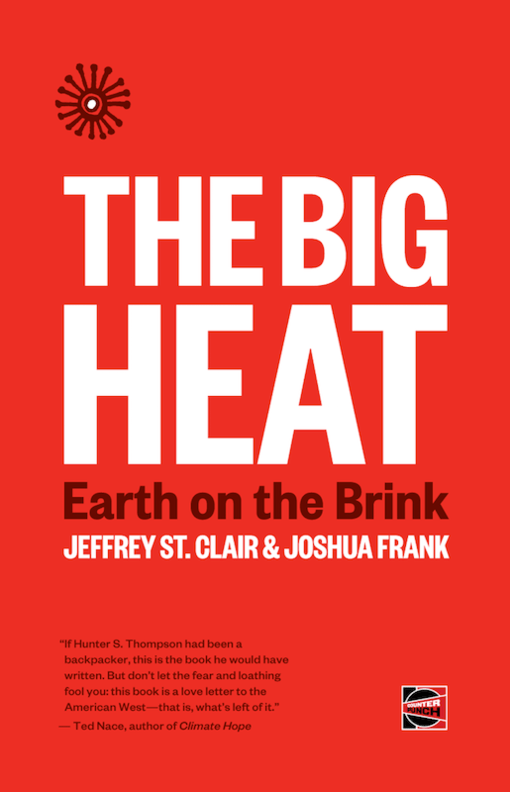 They projected that across much of the United States, location by location, four out of the next ten years could feature summers hotter than the most torrid summer of the 1950-2000 era. By the 2030s, we’ll see such extreme summers even more often: maybe every other year on average, maybe four years out of five, depending on where you live. And if recent history tells us anything, it’s that further heating of the outdoors will prompt a lot more indoor cooling. Since global warming became a national concern two decades ago, we have more than doubled our energy use for home air-conditioning. If climate scientists have their forecasts right, we will see an even more rapid increase in air-conditioning use in the next few decades. Emissions from power plants responding to that increased summer demand would, in turn, add to the Earth’s blanket of greenhouse gases, forcing air-conditioning systems to run even harder. But how significant might that climate impact be? There is no way to predict with certainty how fast cooling demand is going to be rising, but let’s consider a scenario in which future summers across the country become as hot as summers are today in the southern United States. That is not far-fetched, according to recent climate research. Historically, July daily highs in the Northeast average about 9 degrees lower than they do across the South. Highs in the Midwest are 6 degrees lower than in the South. Climate projections foresee summer high temperatures rising by around 6 degrees in the Northeast and 7.5 degrees in the Midwest over the next four decades. Temperatures and occurrences of extreme heat events are expected to escalate dramatically on the West Coast as well. More than a billion tons’ worth of emissions sounds like a lot, but in trying to stay cool, how seriously will we hamper efforts to slow down greenhouse warming? One way to think about it is to compare that 750 million-ton emissions increase caused by air-conditioning to the emissions reduction we might achieve by shifting to renewable power generation. The Energy Information Administration projects that, assuming “a future in which an explicit Federal policy is enacted to limit U.S. greenhouse-gas emissions,” electric power generation from renewable sources will increase from 415 billion kilowatt hours in 2009 to 927 billion in 2030. Assuming that rate of increase is sustained through 2050, renewable power would by then be sparing the atmosphere about 700 million tons’ worth of emissions?less than what we’d be adding through air-conditioning. So, with the extreme heat now being forecast, all future gains in “green” electricity generation and emissions cuts could be soaked up by growth in air-conditioning demand. Other energy uses would still depend on fossil and nuclear fuels. Just as important as renewable-energy expansion is the effort to improve the technological efficiency of devices and buildings that consume energy resources. But history tells us that technology alone cannot put much of a dent in a rapidly growing energy deficit. Since the early nineties, for example, energy efficiency of residential air-conditioning systems has risen steadily, but with rising summer temperatures, home air-conditioning systems have increased their average annual energy consumption even faster. Efficiency, for one thing, has made cooling much cheaper. Studies in Texas and Florida found that when state programs helped install tighter insulation and improved air-conditioning equipment, homeowners and renters did indeed take advantage of the improved energy efficiency?by keeping their homes cooler. I’ve found that when I question the logic of our air-conditioned world, the most common response is, “So how am I going to keep cool without A/C?” Too many times, I have simply tried to give a simple, step-by-step answer, when it’s really a different question that we need to be asking: How can we make the most of whatever thermal situation we find ourselves in? It’s no great feat; billions of people do it every day. But along with shade and breezes and fans and water and basements and porches and neighborhood potlucks, let me suggest a mental workaround. Think of each day in which you keep the A/C turned off as making possible a future day or two in which everyone’s children will be able to enjoy the summertime without going into shock from heat stroke. But voluntary restraint alone will not reverse growth in energy consumption and ecological destruction. That can happen only through hard, non-tradable limits on production throughout the economy, a firmly fixed ceiling to restrain high consumers, and a sturdy floor to assure a good quality of life for everyone. The fact that the national and global economies have no way to operate under such limits should not be a deterrent. We can scrap the economic system, but we can’t switch to another Earth. Stan Cox is author of Losing Our Cool: Uncomfortable Truths About Our Air-Conditioned World. Write him at t.stan@cox.net.